Are Bullbars Good For Cars? So your daily commute comprises of tackling traffic infested streets, where tailgating is the norm and having your car bumper indulged in some impromptu kissing is a phenomenon you’ve learnt to live with. No surprise, then, that having your car bumpers in pristine condition is a dream that you’ve always harboured. And to finally live this dream you’ve just resorted to usage of bullbars, probably at both ends of your car. You do end up saving your car bumpers from all sort of damages, but is it really smart to use bullbars? NO . . .not even a bit! Surprised? Allow us to take you through the disadvantages of using a bullbar! Let me bore you with some info on car technology. Today, most cars have either of the two kinds of chassis – Monocoque or Ladder on frame. The former is found in most road going cars we have today, with the usage of latter restricted mostly to bigger vehicles such as trucks and buses. For a layman, like you or me, a monocoque is a setup where the chassis is a part of the body itself! Basically, this setup compromises of a body shell that has been strengthened at strategic points to eliminate the requirement of an extra chassis! 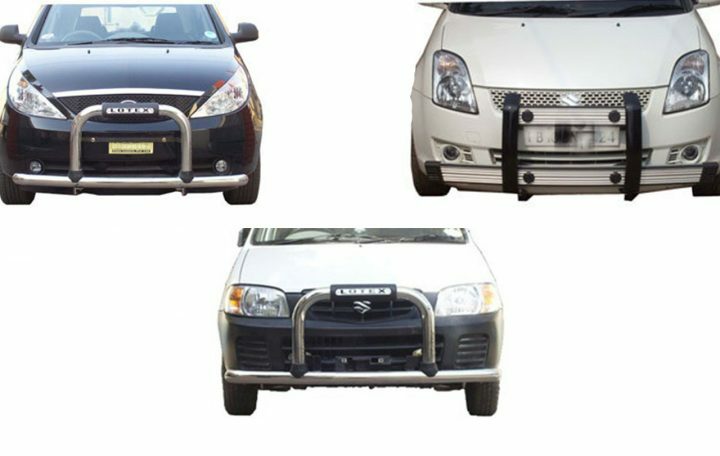 It is hence clear that usage of bullbars in most cars should be simply avoided. Fitting these things on a car with a ladder chassis is still understandable, but on most road going cars, such as a hatchback, a sedan or a MPV, bullbars should be a complete no no!